Can You Play Blu-ray on Laptop? Can you play Blu-ray on laptop? If you are not familiar with Blu-ray, this might be one of the questions you have about it. It depends on what laptop you use, or more precisely, what kind of disc drive your laptop uses. To play Blu-ray on laptop, you’ll have to make sure that the disc drive in your laptop is a Blu-ray drive that can read Blu-ray discs. And for laptops that don’t even have a disc drive, the only way to play Blu-ray is to get an external Blu-ray drive. And a Blu-ray drive is not the only thing needed for your laptop to play the Blu-ray discs. A proper piece of Blu-ray player software is also needed. Check out the content below to see what Blu-ray players you can use on your laptop to play Blu-ray discs. It’s a powerful and free Blu-ray player that supports playing up to 4K Blu-ray discs on your laptop. Another reason why it’s the first choice for Blu-ray movie playback is that it can play Blu-ray movies of different regions and you don’t have to worry about the region code being an issue. It’s also a powerful video player that you can use to play other videos and audios. 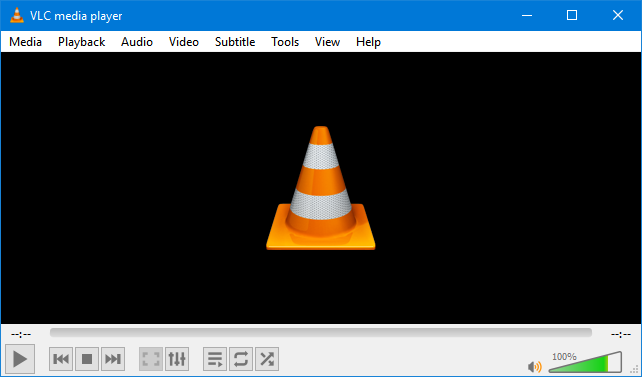 VLC is a well-known cross-platform open-source video player. It can also be used as a Blu-ray player. But that’ll require you to find the right library for it. The libbluray is the open-source library that enables BLC to play Blu-ray discs, as long as you have it, you shouldn’t find any problem playing the Blu-ray movie with it. If you don’t have the right disc drive, just get an external Blu-ray drive, it’ll solve every problem you have with Blu-ray playback on your laptop. After getting a Blu-ray drive, playing Blu-ray discs is not the only thing you can do with it. Another thing you can do that can make playback of the movie more convenient is to rip the Blu-ray disc to your laptop. You can also consider this as making a backup of the Blu-ray disc which is something you should do if you tend to handle things carelessly. Go check out Leawo Blu-ray Ripper, it’s one of the best Blu-ray ripping programs out there. The most attractive feature of it is its ability to rip your Blu-ray movie to lossless MKV video. With the whole movie ripped and stored in a MKV container with no compression, you would be able to enjoy the movie on your laptop that’s just as good as the original disc with a Blu-ray player. Also a lot of other common video and audio formats are available for you to choose. Choose MP4 and you will be able to play it not only on your laptop but on your phones as well. Note: To make media processing more convenient for users, Leawo Software had chose to put some of its best products inside one software bundle called Prof.Media and Leawo Blu-ray Ripper is in it. Detailed instructions can be found in the content below. 1. Have the Blu-ray disc inserted into your Blu-ray drive first and then fire up Prof.Media on your computer. 2. 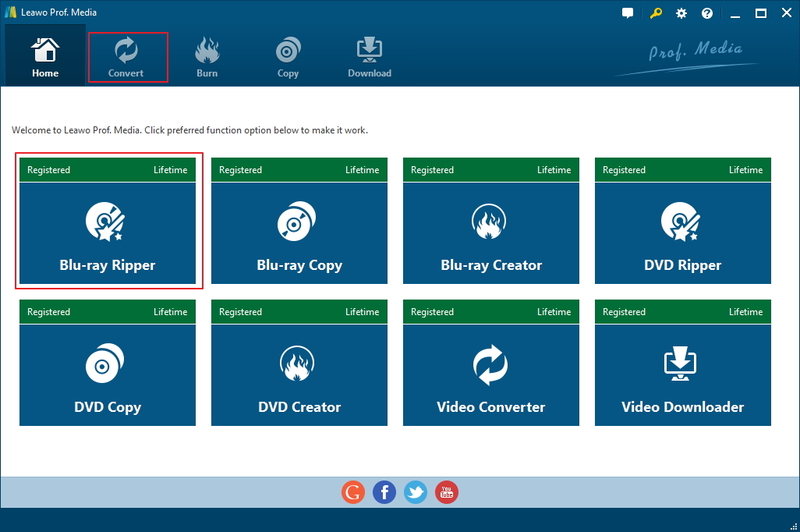 Find the shortcut icon of Blu-ray Ripper from the main interface of Prof.Media. When you spot the icon, click it to launch the module. 3. After launch Blu-ray Ripper, the first thing to do is load the Blu-ray disc to the program. Directly find the Add Blu-ray/DVD button on the interface and click on it. On the following drop-down menu, there are 3 options, select the one on the top which is Add from CD-ROM. And then when you see another menu with the name of your Blu-ray disc on it, click on it to let the program load what’s insdie the disc to the program. 4. 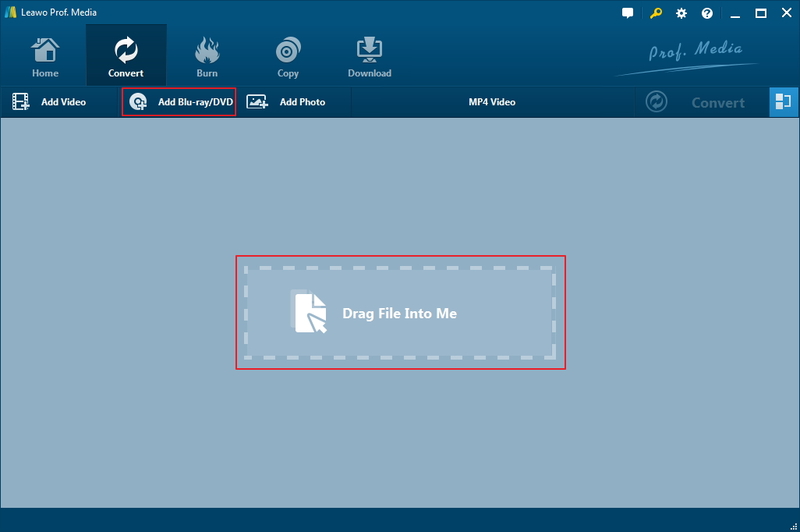 All the videos in your Blu-ray discs will be listed on the following interface on the left. There’s the video player window on the right for you to play the videos. I guess, most of the time, you won’t need all the videos ripped to your laptop, and you are allowed to choose the videos you need freely with the provided 3 buttons. If you choose Full Movie, then all the videos on the list will be ripped when you start the process. 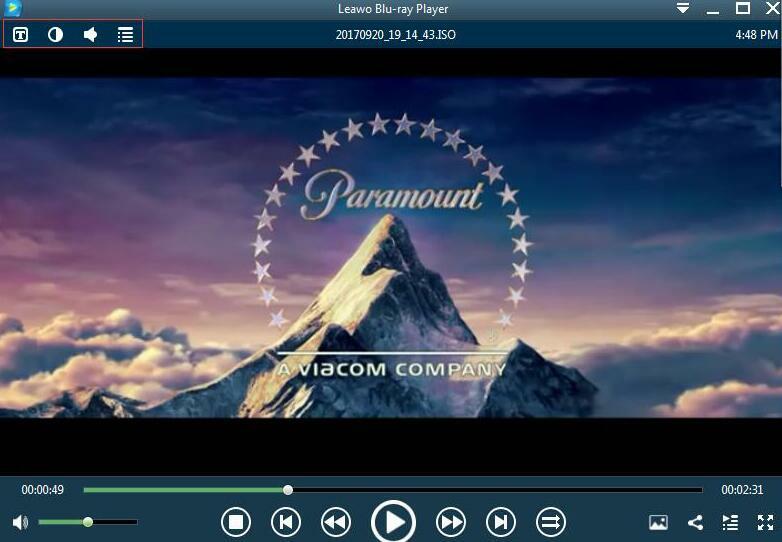 if you choose Main Movie, the program will automatically pick out the main movie from the list for ripping. Custom Mode is pretty self-explanatory, you can use it to manually choose the videos you need from the video list. Click OK when you made your choice to allow the program to add the videos you chose to the ripping list. 5. This step is about selecting the suitable format for the Blu-ray movie you are ripping to your laptop. The choices are abundant. As most video players today support a wide range of video formats, you are free to choose the format that you think is the most suitable. If you have enough storage space for one Blu-ray movie, the lossless MKV format is strongly recommended. You can also go for other common formats like MP4 which would allow you to play the Blu-ray movie on PS3 and other devices. To choose a format, click the button that locates to the left of the Convert button with a green background. And click Change on the menu that shows up below the button. 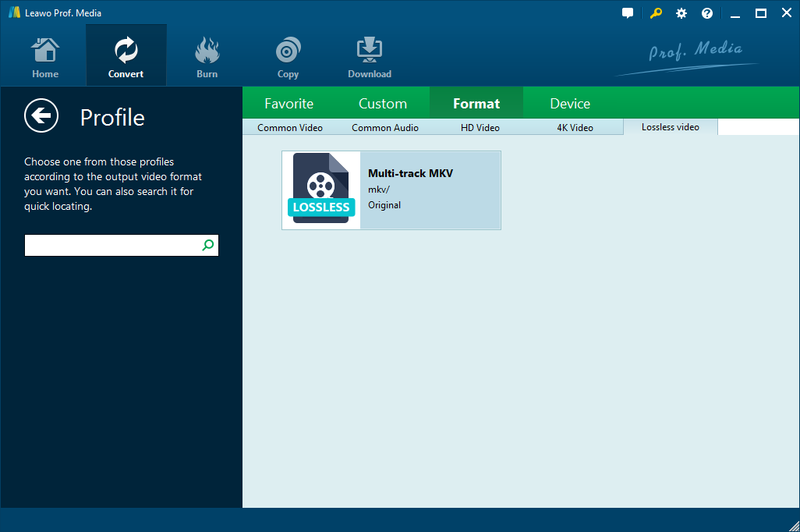 To choose lossless MKV, go to Format>Lossless Video and click on Multi-track MKV. It’s called Multi-track MKV because it allows you to keep multiple or even all the audio tracks and subtitles in the MKV video if you want. For other formats, check out Common Video, HD Video and 4K video. There are also profiles for specific devices under Device tab. When you find a format you need, directly click on it. You will make the format the default format and you will be returned to the video list as well. 6. To select audio tracks and subtitles, click on the audio track and subtitles drop-down menu on each video on the file list. If you choose Multi-track MKV, you can select multiple audio tracks and subtitles from the menu. For other formats, only one audio track and subtitles can be included in the output video. 7. Click the green Convert button and the program will display a sidebar with the default output path and a Convert button on it. Reset the default output path to select a new location for the output video and click the Convert button to start ripping Blu-ray to your laptop. Do laptops play Blu-ray? It depends. If you have an external Blu-ray drive, then all laptops can play Blu-ray. Next time when you have a friend who takes a laptop to you and asks: can my laptop play Blu-ray? You’ll know what to tell them.